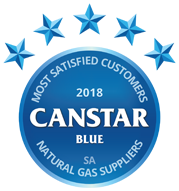 Compare South Australian gas suppliers Simply Energy, Origin, AGL and EnergyAustralia on their customer service, bill & cost clarity, tools & advice, ease of sign-up, environmental sustainability, value for money, and overall customer satisfaction in Canstar Blue’s 2019 reviews & ratings. EnergyAustralia has managed to knock Simply Energy off its perch as the best-rated gas supplier in South Australia. With five stars in most research categories, including value for money, EnergyAustralia leads the way from Origin Energy, AGL and Simply Energy. Natural gas is a pretty basic power source, but finding the right gas deal for your needs can be anything but simple. The gas market in South Australia has become quite competitive, and while this is good news for customers shopping around for cheaper rates, it means there are more providers and plans that you need to navigate. However, Canstar Blue aims to make the process of finding better value a little easier with our annual customer satisfaction review. We’ve surveyed hundreds of bill-paying customers across Adelaide and the surrounding areas to find out what they think about their gas supplier in respect to its customer service, bill & cost clarity, and the value for money it provides. Finding the right deal for you is about more than just the cheapest price – but getting a good deal certainly helps. So, which gas supplier has come out on top? 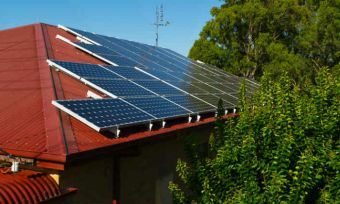 This year, the ratings have thrown up something of a surprise, with EnergyAustralia emerging victorious. We say it’s a surprise given that this category has been dominated by Simply Energy in recent years, and also because the big energy companies often have a hard time of it in our customer reviews. The big retailers are often seen as the ‘bad guys’, rightly or wrongly, but when it comes to natural gas in South Australia, we can report that EnergyAustralia has the happiest customers. It’s the first time since 2014 that anyone but Simply Energy has topped these ratings, so EnergyAustralia must be doing something right. We’ll shed some further light on this shortly. Simply Energy’s success over recent years had suggested a clear divide in customer satisfaction between gas retailers big and small in South Australia. But this year’s outcome points to a major improvement for EnergyAustralia at least, climbing to the top of the table having held up the rest last time out. Find out if the same is true in our customer ratings for electricity providers in South Australia, and if you’re keen to compare electricity prices, you can do so with our comparison tool below. As one of the biggest electricity and gas companies in the country, you would expect EnergyAustralia to have plenty of offers for South Australians – and you’d be right. 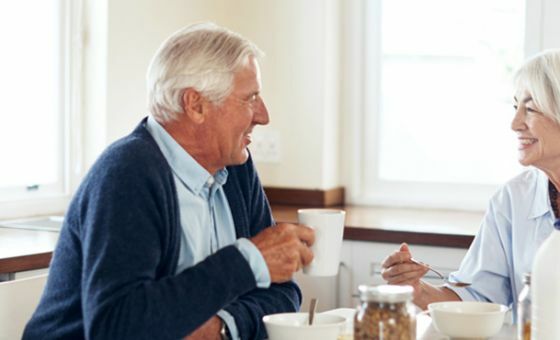 Most EnergyAustralia gas plans include discounts of one type or another, with personal preferences definitely coming into the decision-making process. The retailer’s flagship fixed rate offer includes a notable pay on time discount, but with exit fees to pay if you leave before the end of the two-year contract, you may prefer one of its three other offers. These include plans with pay on time or guaranteed discounts, plus another option with no discounts at all, just competitive rates. EnergyAustralia certainly gives South Aussies plenty to think about, including the potential for online sign-up credit on some plans. In our latest SA gas review, EnergyAustralia earned five stars for bill & cost clarity, online tools & advice, ease of sign-up, environmental sustainability, value for money and overall satisfaction. Its only four-star rating was for customer service. Energy giant Origin has three market offers for South Australians, with varying discounts and conditions based on personal preferences. Prospective customers can choose between gas plans with either pay on time or direct debit discounts off usage charges, or a third option with a guaranteed – but smaller – total bill discount. The three products all come with variables rates, with benefit periods of either 12 or 24 months, depending on the plan. There are no exit fees with Origin plans. Origin also offers a fixed cost plan called ‘Predictable Plan’, whereby customers receive a unique quote based on their household’s specific usage history. They then pay the same amount every billing period regardless of their actual gas usage. Origin recorded a reasonable set of results in this year’s gas review, scoring four stars for overall satisfaction, bill & cost clarity, online tools, and environmental sustainability. It got five stars for customer service and ease of sign-up, but just three stars on value for money. 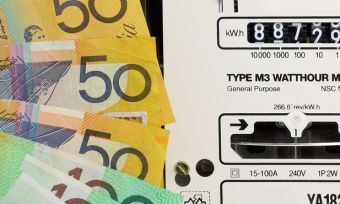 AGL usually offers two gas plans in South Australia, the main difference being that one includes a small pay on time discount off gas usage charges, while the other simply promises competitive rates. You may assume the offer with the discount works out cheaper, but depending on your personal circumstances, this may not actually be the case. AGL plans come with a benefit period of 12 or 24 months, though exit fees usually don’t apply. AGL has a habit of changing its plans fairly often, so keep an eye out for product changes and online sign-up credit which may be available at certain times. One of AGL’s big selling points is that electricity customers can collect flybuys points as they go, but it looks like this is not available if you sign up for gas only. AGL received three stars for overall satisfaction in our gas review for SA. It also earned three stars for customer service, bill & cost clarity, online tools & advice and environmental sustainability. It was just two stars on value for money. Simply Energy’s gas plans in South Australia mirror the retailer’s electricity products, with four different options to consider. These include an exclusive deal for RAA members that brings an additional discount to its other offers, plus a plan targeted at movie-lovers, with up to 32 ‘free’ cinema tickets up for grabs. Contract periods are 12 or 24 months – depending on the plan – and exit fees could also apply. All plans come with variable rates and varying conditional discounts off usage charges for paying bills on time. It’s important to note that Simply Energy does not offer gas-only deals, meaning customers will also need to switch their electricity to sign up. Falling down the pecking order this year, Simply Energy rated three stars for overall satisfaction, in addition to customer service and online tools & advice. It earned four stars for ease of sign-up, bill & cost clarity and value for money, but just two stars on environmental sustainability. While some gas suppliers allow you to sign up for gas only, in most cases they will encourage you to sign up for both electricity and gas together (dual fuel). Doing so could earn you an additional discount on top of the discounts offered for electricity and gas individually. ‘Double up’ discounts have become fairly common – especially with the big retailers – but the percentage offered can vary from time to time. In addition to the market offer gas products mentioned above, all four retailers in this year’s review also have standard gas contracts in South Australia. These are regulated contracts that you may be on if you have never switched gas suppliers, or haven’t switched in several years. According to the latest industry report from the Australian Energy Regulator, one in ten households in SA are on a standard gas contract. Also keep in mind that there are other gas companies operating in South Australia. While the four in our review can generally be considered the most prominent, retailers including Alinta Energy, Lumo Energy, Red Energy, Click Energy and Amaysim Energy also sell natural gas across SA. However, almost nine out of ten households remain connected with one of the big three. In South Australia, natural gas typically costs 2-5 cents per megajoule (MJ) – the unit of measurement for gas. The exact price you’ll pay depends on a number of factors, including your gas retailer, plan and tariff. In SA, gas retailers charge for gas in ‘blocks’ of daily usage. For example, you might pay 4.2c per MJ for the first block of 30 megajoules, followed by 2.2 cents per MJ for all remaining usage. It’s important to check your energy price fact sheets for all rates. Some suppliers charge for gas in two daily blocks, while others charge in multiple increments. And the point at which different block rates apply can vary between plans. To put these prices into perspective, the average gas oven will use around 12 megajoules an hour. In addition to these gas usage charges, also pay close attention to the daily supply charges in your price fact sheet. 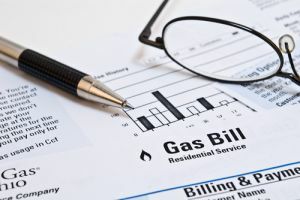 These are the costs you’ll need to pay simply for the pleasure of being connected to the gas network. These can add a significant amount to your overall bill – typically around 60c to 80c a day. It’s entirely possible that gas supply charges could contribute a higher proportion of your overall costs than gas usage charges, especially if you don’t use gas for hot water heating. So, be sure to check all the rates listed before making a decision. Almost one in four respondents gave other reasons for choosing their gas supplier. More than half of gas customers in SA (55%) signed up to their supplier over the phone, while 20% did so online. Just 65% of survey respondents think they get a good deal on gas. If you’re worried about signing up with a small gas supplier, remember that these companies are simply the customer-facing part of your overall service. They handle your billing and general enquiries, but it’s the gas distributors that are actually responsible for your supply. In South Australia, the gas distributor is Australian Gas Networks (formerly Envestra). This is who you will need to contact in the event of a gas leak or other emergency. 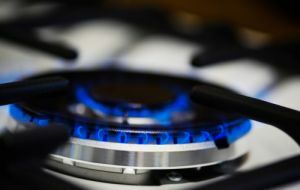 The gas you use for your hot water system or stove cooktop comes from a number of different sources. The majority of natural gas in Australia (around 60%) is used to generate electricity and the rest is piped to households and businesses throughout the distribution network. South Australia’s gas is sourced from Victoria, Queensland and the Cooper Basin, with six transmission pipelines delivering the gas to Adelaide and major regional areas. Retailers purchase this gas and sell it onto their customers. Transmission and distribution costs account for as much as 50% of your final bill. Households who can’t access the natural gas distribution network can purchase liquefied petroleum gas (LPG). Customers connected to the gas distribution network can access one of two types of contracts with their gas supplier – standard contracts and market contracts. Understanding the difference is the first step to saving money. Standard contracts have prices set by the retailers, but they have various conditions still set out in law, including the fact that they have no contract period or exit fees. Market contracts are set almost entirely by the retailers. They have varying contract lengths and conditions, but often provide the opportunity to save through discounts. Market contracts will almost always work out cheaper than standard contracts, provided that you meet the conditions of any discounts. Market contracts can come with either variable or fixed rates. If you haven’t switched plans in recent years, you will likely save money by switching to a new offer with a conditional discount. Ultimately though, you will need to get to know usage and supply charges, and compare rates between different suppliers. If you think you’re paying too much for gas, you probably are. It’s the same deal when it comes to electricity, so make sure you shop around. 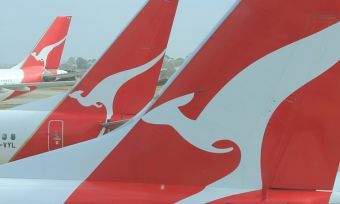 Canstar Blue surveyed 12,000 Australian adults across a range of categories to measure and track customer satisfaction, via ISO 26362 accredited research panels managed by Qualtrics. 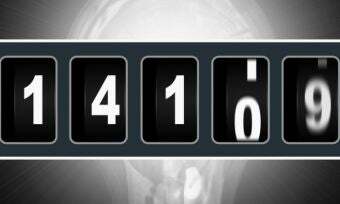 The outcomes reported are the results from customers within the survey group who live in South Australia, have a gas account, and pay the bills – in this case, 500 people.